Do you wish to become a member of Louisiana Utility Service? Getting into Louisiana Utility Service is a real challenge, especially when it comes to the assessment tests and interviews. Outperform your competition with the help of our preparation packs. JobTestPrep offers dozens of custom and tailored preparation packages to suit your needs. There is no need to feel intimidated or overwhelmed by the Louisiana Utility Service application and recruitment process when using JobTestPrep. Mechanical aptitude tests are used by Louisiana Utility Service to assess your understanding of mechanical and physical concept and are not necessarily to your profession. These tests were created to measure your propensity for, recognition of, instincts in a variety of areas. Your overall score will depend on the depth of your overall mechanical and electrical subject knowledge. Tabular Material – These questions demonstrate your ability understand and analyze data presented in tabular form. Mechanical Aptitude/Mechanical Reasoning - These questions measure your aptitude for recognizing and understanding the operation of mechanical instruments such as motors and gears. Conversions - These questions assess your ability to correctly convert units based on given information. Reading Comprehension - These questions give an in-depth profile of how well you understand written material. In this section, you will be presented with a passage followed by questions that must be answered based on the information given. Written Communication – This section requires you to structure sentences and paragraphs properly in order to express yourself clearly in writing. The MASS Test contains four sections: Mechanical Concepts, Assembling Objects, Reading Comprehension, and Mathematical Usage. Each section measures the abilities you will need to be successful in any mechanical position. These sections are covered in our practice pack to help you prepare for the MASS test. Utilizing JobTestPrep’s in-depth PrepPacks™ will easily give you an advantage over the other candidates applying for the Louisiana Utility Service position. Our comprehensive practice materials include not only the Louisiana Utility Service tests, but also in-depth answer keys, explanations, and study guides. Start practicing today and excel in your Louisiana Utility Service tests tomorrow! Before starting your interview at Louisiana Utility Service do your homework on the company. It is important to show your interviewer that you identify with the company’s missions and goals. They not only want to see your skill-sets (very important) but also how you will fit in personality wise to company culture. Second prepare your own list questions and make sure you can identify what the interviewer might ask. Lastly, prepare to demonstrate how your background and skills will be of value. What Is the Purpose of the Louisiana Utility Service Aptitude Tests? More often than not, a candidate’s resume is not able to paint the full picture regarding abilities and competencies being looked for by Louisiana Utility Service. The Louisiana Utility Service aptitude tests give more insight into your talents and strengths which are necessary in a workplace setting. If your assessment profile matches the company’s standards for employment, you are more likely to be offered the position you seek. How Is Louisiana Utility Service Personality Test Evaluated? The purpose of a personality assessment is to establish your personality and behavioral style in the workplace. Companies use these tests to determine whether you are a right fit for the position and company standards. The questions you will face often target work-related activities such as managing stakeholders, working in groups, complying with regulations, problem-solving, leadership skills, coping with pressure and stress, etc. Determining which personality traits are important for Louisiana Utility Service and for your desired position is also very important. For example, an HR manager’s personality test scores are supposed to reflect her communication and organizational skills, whereas for a sales position, a competitive and initiative-driven nature is favored. How Many Scenarios Can I Expect to Encounter in the Louisiana Utility Service SJT? 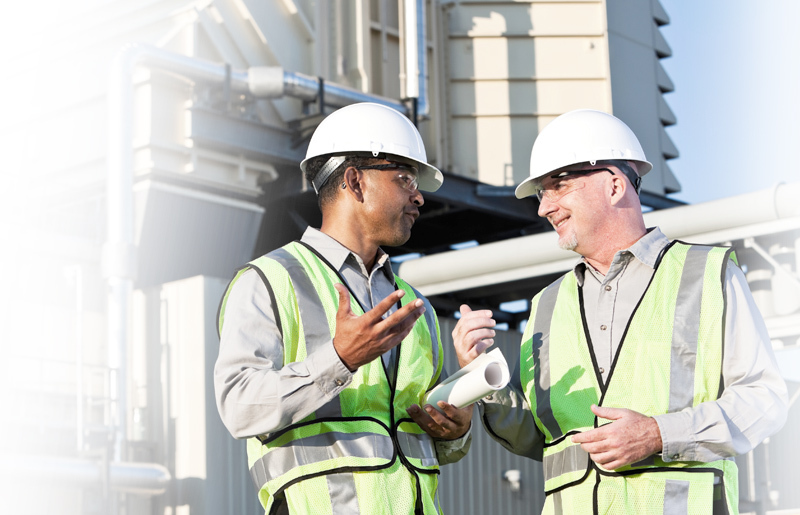 What Do I Need to Prepare for the Louisiana Utility Service Assessment Tests? First and foremost, it is essential that you take the time to practice prior to taking your Louisiana Utility Service assessments. The wealth of practice materials offered by JobTestPrep will help you strengthen crucial job skills and build up your confidence. We can help you prepare for every step in the Louisiana Utility Service recruitment process whether it be aptitude tests or interview preparation. Louisiana Utility Service and other trademarks are the property of their respective trademark holders. None of the trademark holders are affiliated with JobTestPrep or this website.